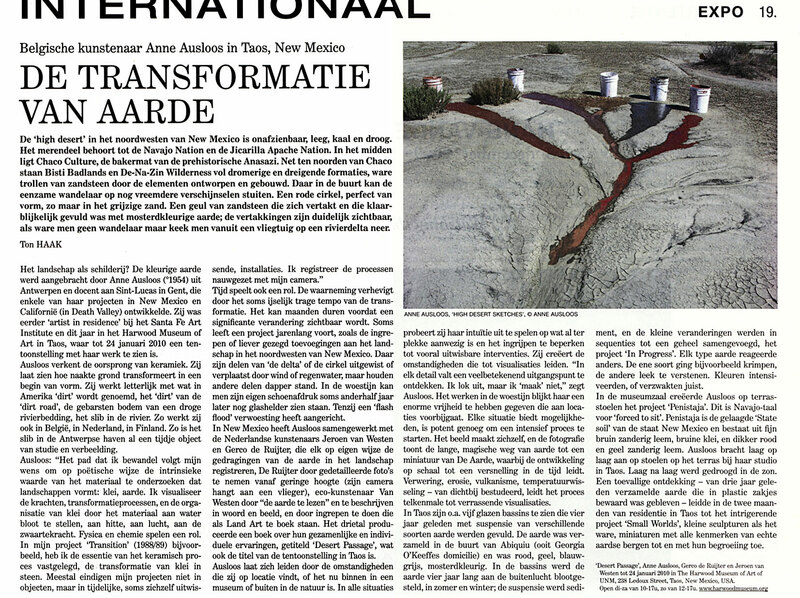 In the fall of 2005, Anne Ausloos (Belgium), Jeroen van Westen and Gerco de Ruijter (both from The Netherlands) spent many weeks working in north-central New Mexico. Part of the time they were Artists in Residence at the Santa Fe Art Institute. 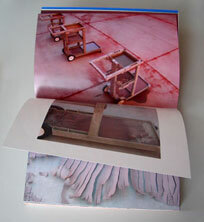 After returning to Europe and presenting the results of their trip amongst others in Ghent, Belgium, and Rotterdam and Amsterdam, The Netherlands, they decided to self-publish their findings in a limited edition artist book titled Desert Passage. 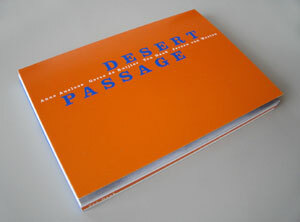 Desert Passage is not one book but four books in one. Each of the three artists has selected visuals (and texts) defining his or her New Mexico work. The fourth book was composed by Ton Haak, their Dutch-born guide who lives in Abiquiu, New Mexico, which was the focus of their New Mexico explorations. In his contribution, titled High Desert Drifter, Ton Haak writes about his more than 10 years in Abiquiu, his thoughts and experiences, and his collaboration with the three artists. The four books of Desert Passage present different opinions, different experiences, and different artistic results  four individual views, sometimes opposite, mostly strengthening each other. The cross references, correlations, and divergences provide a diverse yet interesting historic (visual) documentation of one of the last original deserts of the Wild West. Anne Ausloos (1954) lives and works in Antwerp, Belgium. She teaches Ceramics/Glass Art at St. Lucas Academy of Art in Ghent. 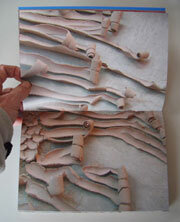 Her work is non-conformist  her material may be clay, but she is not a ceramist. Anne is foremost a researcher  she explores the different and unpredictable qualities and reactions of clay, applies scientific processes, and preserves the results of her work in visuals that are, though not on purpose per se, oft esthetically astonishing. Jeroen van Westen (1955), lives and works in Enschede, The Netherlands. His philosophy is that all landscape is readable  any landscape tells how the culture which created it was or is related to the land and to nature. His work is presented in the form of temporary installations, performances, books, permanent structures, or a combination of these. Rather than placing a sculpture in the public space, the public space offers the material to construct a (visual) tale. Gerco de Ruijter (1961) lives and works in Rotterdam, The Netherlands. He is a photographer who does not use his view finder to take pictures. He attaches his camera to a kite. His landscape images are views of the earth from a few hundred feet up. Their perspective is unusual to say the least  in absence of the traditional horizon and other expected references, the images become abstract registrations. Notwithstanding the quite large distance between camera and landscape, the images offer an extremely detailed commentary on the (changing) land. The composition of the images, carefully selected, also adds to a loss of touch with reality.